Expenses on vitamins and tonics unless forming part of treatment. Treatment arising from or traceable to pregnancy (including voluntary termination of pregnancy) and childbirth (including caesarean section). 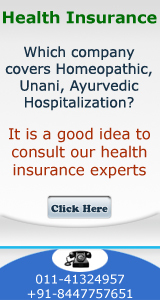 Naturopathy Treatment, acupressure, acupuncture, magnetic and such other therapies. External and or durable Medical/ Non-medical equipment of any kind used for diagnosis and/or treatment and/or monitoring and/or maintenance and/or support including CPAP, CAPD, infusion Pump, Oxygen Concentrator etc., Ambulatory devices i.e. walker, crutches, Belts, Collars, Caps, Splints, Slings, Braces, Stockings, etc. of any kind, Diabetic footwear, Glucometer/ Thermometer and similar related items and also any medical equipment, which are subsequently used at home. 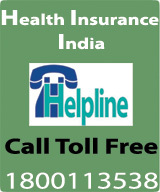 Any kind of Service charges, Surcharges, Admission Fees/Registration Charges levied by the hospital. All non-Medical expenses of any kind whatsoever. The duly completed and signed Proposal form giving details of all Insured persons and signed copy of the Prospectus along with Health Check-up reports, if any, should be submitted to the Company. (iii) Persons above 45 years of age and seeking enhancement of Sum Insured of Family Medicare Policy by more than two slabs. (iv) Our Existing policy holders above 45 years opting for Sum Insured under Family Medicare Policy which is more than twice the maximum existing individual Sum Insured. The insured should declare the existence of Diabetes, Hypertension, Elevated Cholesterol levels, if any, at the time of taking the first policy. The policy will not pay for the expenses incurred for the direct treatment of these illnesses as per Pre-existing Disease Exclusion. An additional premium of 30% will be charged on the basis premium. PAYMENT OF PREMIUM: As per table attached plus applicable loading if any. Age of the oldest person of the family is considered while referring to the Premium table. Premium shall currently be payable as per table attached being the prevailing rates of the company. b) load the Premium for the Insured, depending upon the claims experience under the Policy held by the Insured, as detailed below.